I have experience in Live Television Production. I Produced and Directed live shows on RCTV-15, every Tuesday for three months between 6 P.M. and 6:30 P.M. 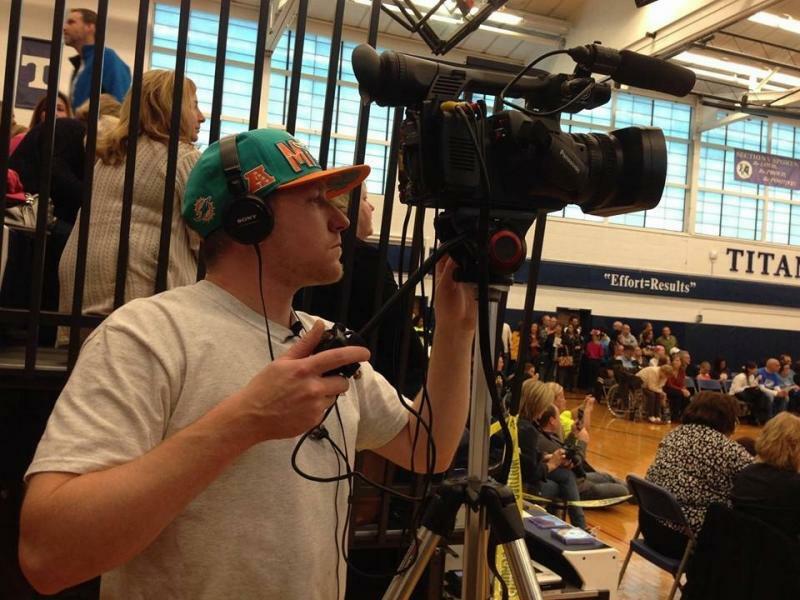 I also have experience in Sports News Broadcast with "Eagles Nest", SUNY Brockport's "Sportscenter" where I was a host, interviewing, reporter and part of the production team, including post-production.. I also was on live radio when I was part of "89.1 The Point" morning show where I would report the sports updates every fifteens minutes. I also was a public relations intern for a local AHL Hockey team, Rochester Americans, where i wrote game stories for the official website and conducted coach and player interviews, along with many other tasks including player bio's and taping of each game for officials and coaches.